Whether your traveling to Scottsdale Arizona or relocating to Phoenix - need vacation or corporate housing - Scottsdale Condominium Rentals are pros at finding you perfect Arizona condo rentals and furnished homes. Welcome to our resource section. 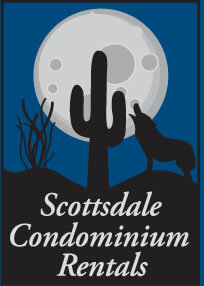 Scottsdale Condominium Rentals adds links to Websites of interest to our readers as we come across them. Our Website contains links to other Websites which are independently run sites outside of our network. We are not responsible for the privacy practices, activities, or content of such independent sites. Neither these sites, nor any content available through links to and from them, are screened, reviewed or endorsed by Scottsdale Condominium Rentals. Any links to external Websites are provided as a courtesy. They should not be construed as an endorsement by Scottsdale Condominium Rentals of the content or views of the linked materials. The materials on these independent sites are the opinion of the specified author(s) and are not statements of advice, opinion, support or information of Scottsdale Condominium Rentals.